Ganapatipule, Ratnagiri, Pawas, Velneshwar & Guhagar come under central Konkan with, most spectacular beaches along the konkan coast. It is an idyllic weekend gateway that attracts peace seekers, beach lovers and pilgrims. Ganpatipule is the land of the 400-year old Swayambhu (a naturally formed idol) Ganpati and a glittering white sand beach. 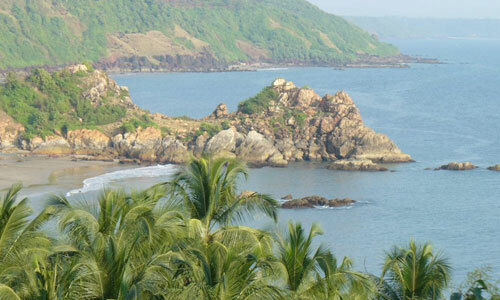 Ganapatipule an ideal holiday destination for a beach lover. 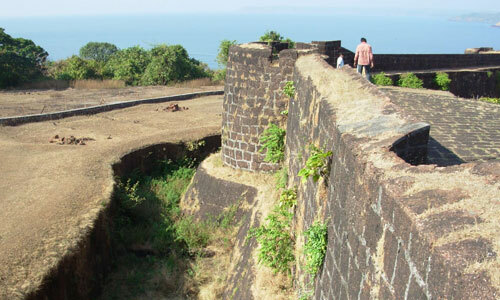 Ratnagiri includes three main attractions Thiba Palace, Lokmanya Tilak Samarak and Patit Pawan Mandir. 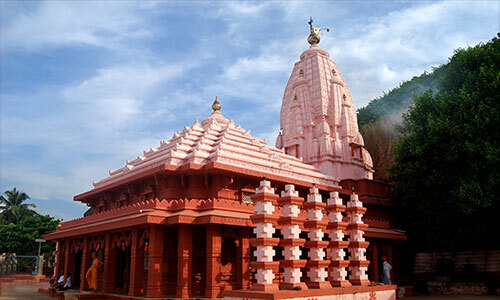 Pawas is well known for the Ashram of Swami Swaroopanand, a renowned spiritual leader. 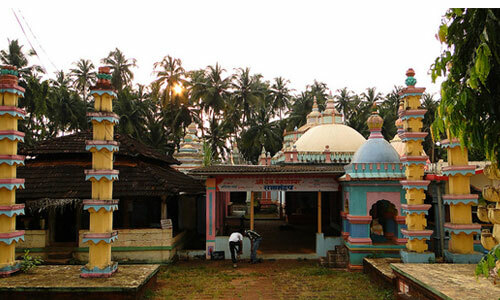 Velneshwar is quiet, coconut-fringed beach; there is an old Shiva temple in the environs which is often frequented by pilgrims. 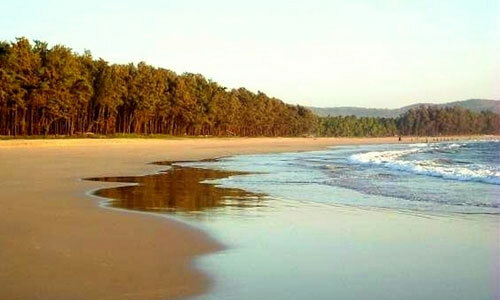 Guhagar is known for its virgin beach, coir items, coconuts, betel nuts and mainly Alphanso (Haapus) mangoes. 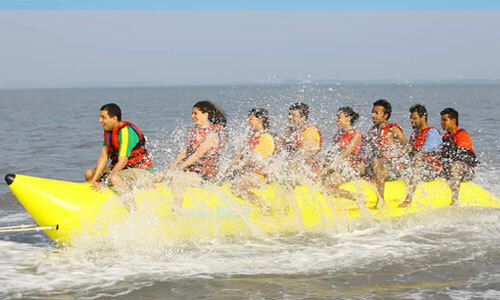 Purple Trips has experienced tour guide to make your trip memorable. Purple Trips is an exclusive brand of Prasanna Purple for Variety of short trips by bus. Day 1: Departure to Ganpatipule. Breakfast at Karad. Arrival at Parshuram Mandir. After darshan, Lunch at Parshuram. While return, explore the Beauty of Vashisthi River view point at Chiplun and proceed to Ganapatipule. En-route visit Guhagar Vyadeshwar temple, Velaneshwar & Hedvi Shri Dashbhooja Ganpati. On arrival at Ganpatipule, hotel Check-in andovernight stay at Ganpatipule. Day 2: After breakfast, proceed to Pawas, visit Swami Swaroopanand Ashram. 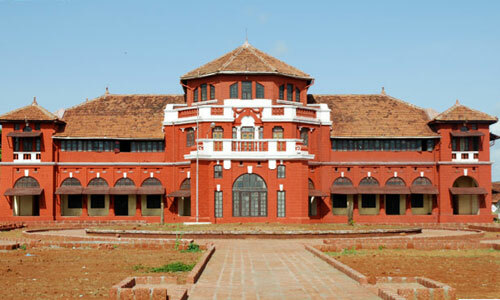 Return to Ganapatipule, visit Thibaw Palace at Ratnagiri. After lunch visit Keshavsoot Smarak, Prachin Kokan. Evening free at beach. Overnight stay at Ganapatipule. Day 3: After breakfast, proceed to Marleshwar, visit Marleshwar Waterfall & temple. Lunch at Amba Ghat and proceed for return journey. Evening arrival at Karad / Kolhapur. Accommodation on Twin sharing basis in Budgeted Hotels. Breakfast will be provided with Tea with Poha/ Upma/ Idli/ Wada Sambar. Only breakfast & lunch will be provided on the last day of departure.